As the VP of Communications for Comprehensive Retirement Solutions (CRS), Tifney is responsible for strategic planning, client communications, special events, educational programs and internal/external communications. Many of her responsibilities include strategic program development, social media presence, seminars and educational updates for clients, as well as developing internal programs. 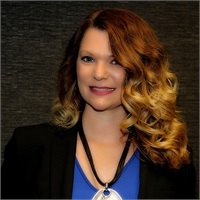 Tifney moved from Colorado to attend Indiana University, where she double majored, earning a Bachelors of Science in Marketing & Logistics Management (minoring in Communications); later graduating from Ball State University with a Masters of Arts in Public Relations. Her background in customer service, communications and marketing spans several industries including travel, hospitality, promotions, direct selling, tech and financial services. Tifney is an active member in the community as she has served on the board for the American Marketing Association (as a student and professional), as a contributing committee member of the Hoosier chapter of the Public Relations Society, has contributed to event planning for the Financial Planning Association of Greater Indiana and lead Central SAHMS (for four years) as well as past Women's Ministry events at Thrive Christian Church. Tifney and Mike love to travel with their two children, Adria and Mitchell. They are also active members at their church, Thrive Christian Church in Westfield, IN.